After a few years on a lease, you might be coveting a new car. 2. Can Excess Miles on a Lease Be Written Off as a Tax Write-Off? 3. How Much Money Do You Save Buying Out Your Own Car Lease? When you lease a car instead of buying it, you don't have to worry about common car concerns such as depreciation. But you're also not building equity in your lease. It's impossible to trade in a leased car for money in the same way you might trade in a car you own. 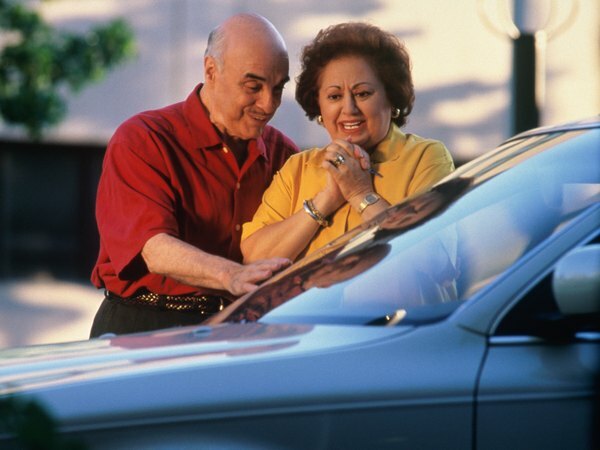 A few options can help you trade in that old leased vehicle for a new lease or a car you own. Consult your lease to determine what penalties you'll face for breaking the lease early. If you're hoping to trade in your leased vehicle before it expires, you'll need to consider associated costs into your car-buying budget and you might need to finance these costs if you're planning to finance a new car. If your lease is up, you won't have to pay these penalties. Contact the company that financed the lease -- which may be an independent bank, a car dealership or a used car company -- and ask what the payoff value of the car is. You need to pay this figure before you can trade your car in. Ask if the leasing company is willing to allow a dealership to purchase the car. Ensure that the car is in good condition before you trade it in. This includes cleaning the interior and exterior, getting the oil changed and putting adequate air in the tires. Calculate the current market value of your car by consulting a website such as Kelly Blue Book. Deduct the cost of the payoff from the market value. This is your car's trade-in value. If the trade-in value is negative, it is unlikely you can trade in your lease, but if you have positive trade-in value, you might be able to get a dealership to purchase the car. Shop for a car at a dealership. If you're hoping to lease another car, leasing through the same dealer that leased you your last car might offer advantages, such as discounts or incentives to lease again. If you want to purchase a car, ask if the dealership is willing to purchase the leased car and pay off the remaining lease value. Some dealers will purchase cars to resell, particularly if it means they sell another car and are able to get some value out of purchasing the leased car. Read all paperwork and contracts before signing the agreements. The original leasing company, as well as the new dealership, will need to agree to the deal. Otherwise, you will not be able to trade in your leased car. Does It Make Sense to Trade a Car in Every Year for a New Car? Does My Trade-in Get Deducted From the Sales Tax on a New Car in Arizona?